Meteor House » Three Announcements in Three Days – Part Two! Three Announcements in Three Days – Part Two! 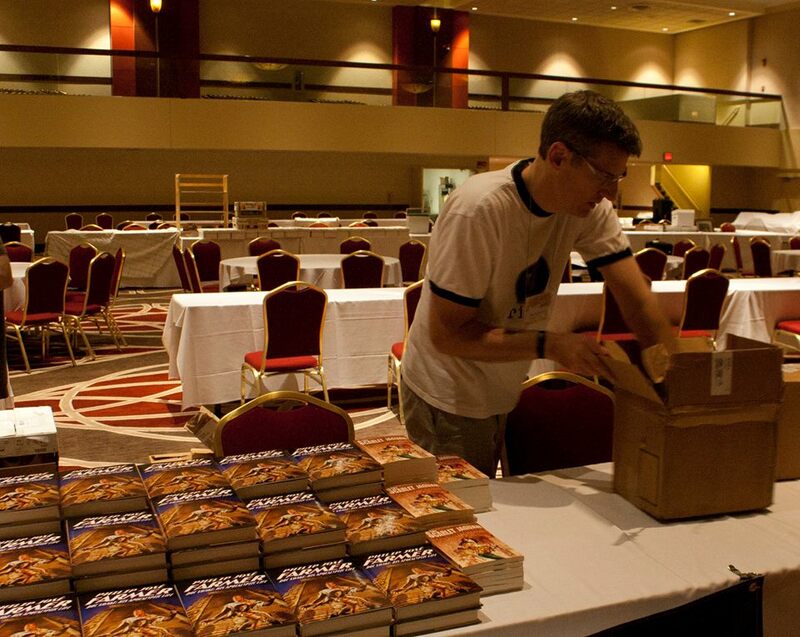 The release of Meteor House’s Deluxe hardcover edition of Philip José Farmer’s Doc Savage: His Apocalyptic Life at FarmerCon VIII was a resounding success! The stack of books on our dealer table kept shrinking faster than we could restock it. Our thanks to the PulpFest organizers for including us in their programming so we could talk about all of Philip José Farmer’s Doc Savage work, from the biography, to pastiches, to authorized novels. This year’s theme was a great fit for us, and you can listen to the panel here. 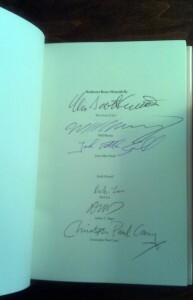 There is no question that part of the book’s success was the fact that six of the seven contributors of bonus material were on hand to sign the book! Win Scott Eckert, Will Murray, John Allen Small, Rick Lai, Art Sippo, and Christopher Paul Carey all signed the copies we brought; only Keith Howell was absent, but maybe he’ll make it next year (hint, hint). There are signed copies left for sale. These are available first come, first served, and there is no extra charge! This is the best deal you’re going to find all year! What are you waiting for, click on this link and order one now before they’re all gone!!! Comments Off on Three Announcements in Three Days – Part Two!